I feel like I need to get something out in the open. I realize that lately the focus of this blog has changed — more food and travel and less random early morning ramblings written before the coffee has fully worked its way into my system. I know. It’s been a natural progression as I try to figure out what I want for my little slice of the internet. But the truth is, if anything, it’s helped me figure out what I don’t want. I don’t want to sound corporate. I don’t want to sound contrived. I don’t want a webpage devoid of interaction with you, my readers, simply because its success was built entirely on search-engine-optimization, and I don’t want to make myself sound like anything other/better/more important than I actually am, because let’s be honest. The upkeep of a facade — the fake kind you put on your personality, not the real kind you put on your house — is just too damn exhausting for me to take on in addition to blogging and freelancing and working in a sandwich shop. This is my life, and I want to show you how I do it. Like a real person. Without skipping all of the uncomfortable bits, like the time I accidentally made my head look like a greased-up piglet and that other time I got really, really depressed. I want to be exactly what I am. A normal person trying to figure it all out, and then showing you what I figure out so you don’t have to figure it out by yourself. Because reducing my life to a search-friendly niche and sharing only the glossy highlights of picture-perfect dinners and the effortless-appearing results of hours and hours of travel planning is just not me. It’s not what you’ve come to expect from Domestiphobia. And. In order for this to be a sustainable thing, it has to stay fun. I’m not sure if you know, but I have a lot riding on this trip to Italy. Professionally because I’ve done the leg work to secure a plethora of interesting things that I will be obligated — and excited — to write about. There will be cooking classes. There will be walking tours. 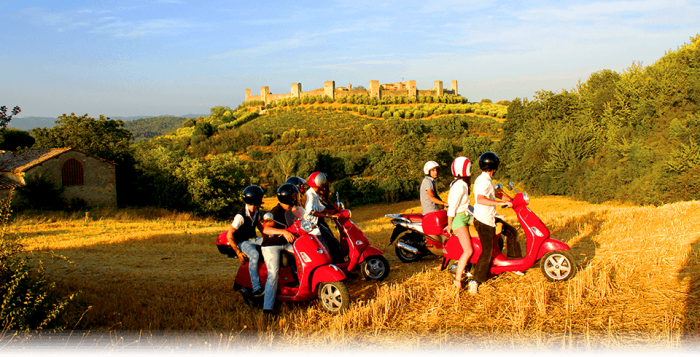 There will be a variety of beautiful and not-so-beautiful lodging options and, most importantly, there will be Vespas. 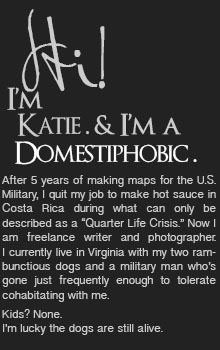 But it’s personally important, too, because getting taken seriously enough as a writer for companies to trust that I will provide editorial coverage of their services with honesty, originality, and a helluva lotta awesome pictures has kind of been an unspoken dream of mine in the 4 years since nestling in here on Domestiphobia. And, oh, I can’t believe it’s happening to meeeeeee…. Because some people wait a lifetime, you know? Which leads me to where I see myself headed, which is hopefully a place you’ll want to head right along with me, because 4 years is a long time in blog world, and hey. We’re all in this together. Domestiphobically, this blog is staying real. My voice is my voice, and I’m pretty sure I couldn’t change it (or the bad movie and song references) if I tried. But also I’m going to flex the bit of muscle I’ve gained over the years to make things happen that maybe people who don’t blog on a semi-professional basis might not be able to make happen. Like this Italy trip, for example. My goal is not to tell you how to do this exactly like I did, financially speaking, because that would entail 4+ years of blogging and eventually gathering the proverbial balls to pitch my errant little heart out to see who — aside from my mom and you loyal, long-term readers — thinks I’m worth a little something. I will always disclose when a service I’m sharing with you has been provided in exchange for editorial coverage, but what I really want to show you is what you can experience in this world if YOU spend a little money. Like a glorified travel agent. 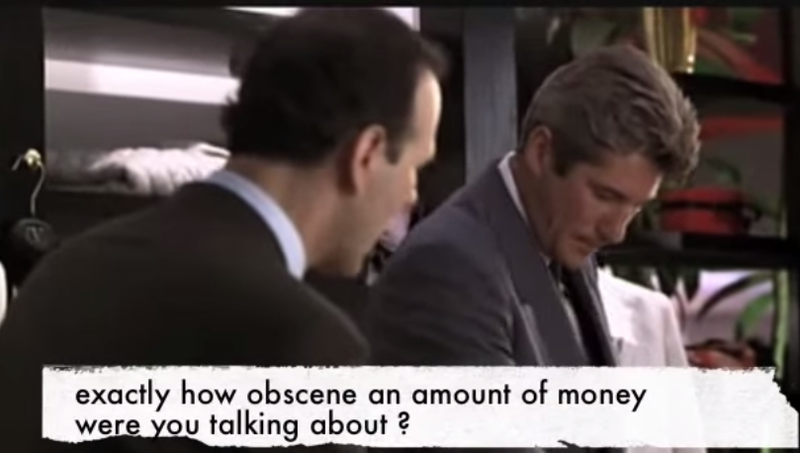 In Pretty Woman terms, we’re not talking really offensive money. Not even profane money. Just… enough money. Okay. Who else could act out this movie in its entirety completely from memory? Just me? So stick around, because there will be giveaways. There will be videos. And, most importantly, there will be Vespas. Well, Vespas aside (I fear mutilation), it looks like a fantastic trip. And Italy will always hold a special place in my heart. My husband thinks tours are for senior citizens, so unlikely that we’ll be doing it that way any time soon, but it’s fun to read your adventures and live vicariously. For what it’s worth, my mom is a travel agent who specializes in sending people on tours, and as your trip unfolds, if it looks good, I will definitely pass info on to her. PS – would be nice if your giveaways included Canada. Just saying. It was only after experiencing an organized ITALIAN tour that I understood how amazing they actually can be. Ours was most decidedly NOT a senior citizen experience. I cannot wait to hear all about yours and will be taking copious notes when you report back. Ride on Vespa Girl! Let’s all just admit it — I need a guide because I’m too easily side tracked. :) Still wish I had time to make it to Venice!! 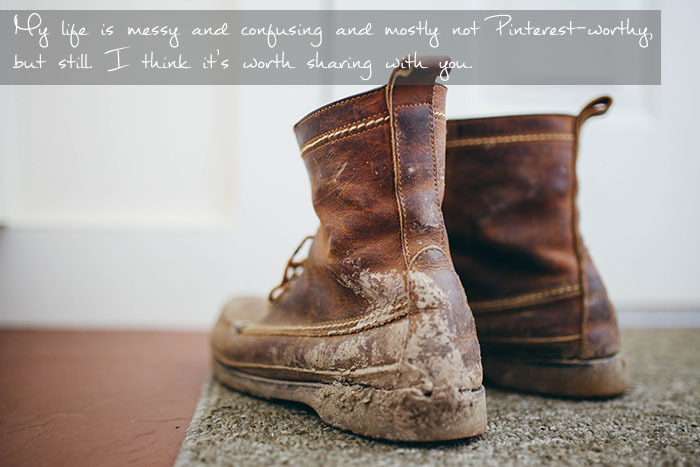 Sooo… I like that you’re not pinterest-y. Please don’t change. I can’t wait to hear about your Italy tour and I know that your unique voice and style will come through no matter how many cool trips you score in the future! And the vespas… I expect pictures of bug spackled smiles. You just summed up my blog life in a nutshell! You do put more out there domestically speaking than I do, but I have a security phobic (securiphobia?) husband who also happens to French and they are super guarded when it comes to privacy – but otherwise, I too am not interested in free trips (hey I’ll take them, and I have, but that isn’t the real me) I work to earn money to travel and spend the money to travel because that is me and what I like to do. From time to time I get discounts or free tours, but here is the thing – I would do them anyway, because the tours I do are tours I would actually for and many time do! 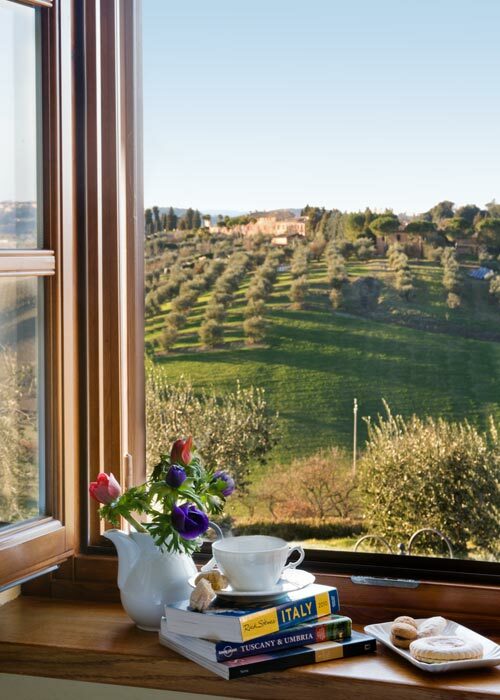 My goal right now is to finish writing all my Tuscany trip posts (and then France) before YOU get back from Italy and write yours – it is a sad state of affairs that I am trying to fix that my trip was in May and i still haven’t got all the posts written! I don’t want to spend my time on my trip with my face in a laptop writing posts – then I miss my trip – so I am always struggling to figure out how to record things to write about later – usually it is lots of photos just to capture names, dates, places and then a moleskine for pertinent info – then when I get back, life happens and getting on the blog becomes a struggle – I want to see if you figure out how to do it so I can steal from you ;-) My hubby will be SO jealous of the Vespas – he totally wanted to do that when we were there!